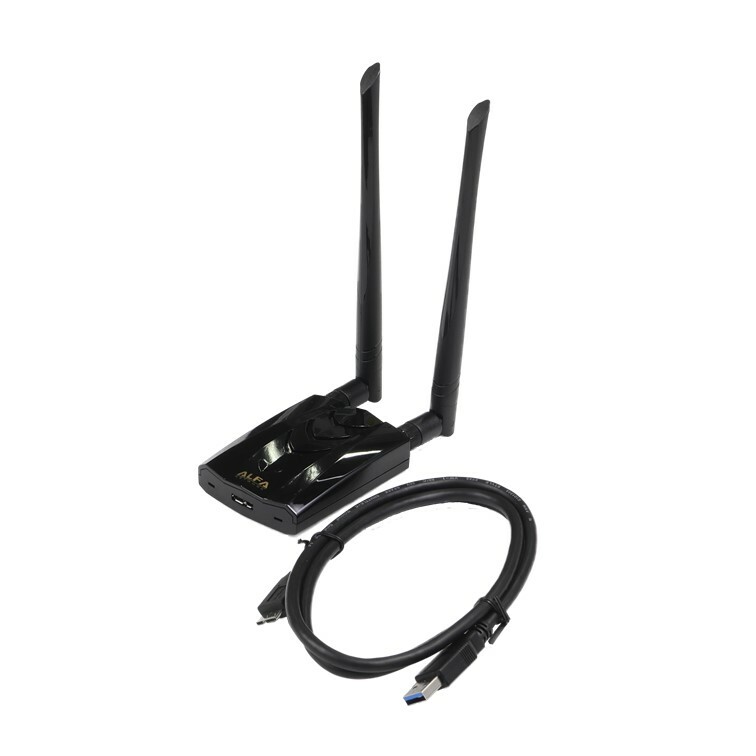 The AWUS036ACH is a long range dual band USB wifi adapter. It operates in extreme distances with blazing speed on any WiFi network. Mac & Windows compatible. Alfa AWUS036ACH is a long range dual antenna 867 Mbps WiFi USB adapter compatible with Windows 7 through Windows 10. It features two RP-SMA antenna ports, and two 5 dBi dual-band antennas. The antennas are detachable and can be upgraded. It also has a power amplifier that increases it’s reception range compared to Alfa’s earlier model AWUS036AC. Use this USB Wifi adapter in receiving and transmitting on both the 2.4 GHz and 5 Ghz bands. With 802.11ac standard routers, AWUS036ACH can achieve throughput speeds up to 867 Mbps, almost three times that of the 802.11n maximum of 300 Mbps. This adapter is backward compatible with 802.11b and 802.11g networks, but will have limited speed with those networks. An 802.11ac router is required for the maximum throughput. 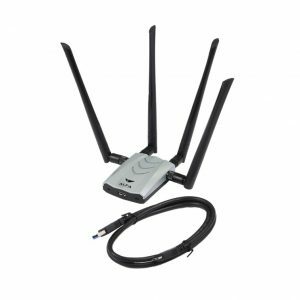 The high receive sensitivity coupled with the internal power amplifier also allows it to pick up Wi-Fi signals from up to 3 times the distance of newer internal 802.11ac Wi-Fi cards shipping inside today’s laptops. This is brand new in retail box and includes the adapter, two 5 dBi dual-band antennas, driver CD, and USB docking base. RF Shop Australia buys direct from Alfa and is an authorized retailer of Alfa products. Check directly with Alfa to verify you are getting a 100% genuine Alfa adapter.